During the postgraduate digital Pattern making CAD course the students will learn how to use the computer for modeling. The course aims to prepare the student for the world of work, proposing exercises during the course directly from work done in clothing companies. The duration of the course is 42 hours. During the course the students are followed closely by the teachers. Each student will have at his disposal a CAD CAM station with Lectra software (Modaris and Diamino). Great attention is paid to all the functions of modification and control of the models. All the CAD CAM themes are dealt with, from the introduction of the model via digitizer (electronic whiteboard) to the final placement on fabric. 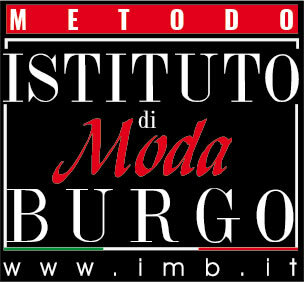 The cost of the course includes VAT and a textbook of the Istituto Moda Burgo ‘Il Modellismo’ – Pattern making sewing and techniques’ (value € 100), a fundamental book for professional Tailors and Patternmakers http://www.fashiontechniques.com/pattern-making-book.html. Duration: 2 months – Weekly rate: 2 lessons. Lessons: 1 or 2 lessons per week. Class timetable: 9.00am – 12.00pm, 1.00pm – 4.00pm. Requirements: Professional Pattern Making course, work experience Patternmaker. Fashion Institute Treviso (Italy) is a Certified Education Partner of Lectra – world leader in the field of software, CAD / CAM equipment in the fashion industry. The collaboration with Lectra Italia Spa offers our students the exclusive possibility of being able to install Lectra Modaris and Diamino programs on their PC. (CAD COURSE IS NOT STILL AVAILABLE!! !